When frying food, what's a good alternative to paper towels for soaking up/draining excess oil? Personally I use a wire rack over a cookie sheet to drain fried or greasy foods. The oil drips to the pan below and I can pour the oil into a container or dispose of it however I need to. I like to use wire cooling racks, brown paper bags, and cloth dishtowels dedicated to this endeavor would work for draining. Paper towels you do use might be compostable. Drain food that has been deep fried on a wire rack. Only after this use paper towel to soak up excess oil. I keep paper towel that is soaked in cooking oil and use it as a fire-lighter later on. Of course, that only works if you have a wood-fired stored. To minimise the use of paper towels in cleaning, I make use of our local food waste scheme, which accepts cooked food. For greasy pans: used teabags, or vegetable peelings that seem to be sufficiently absorbent, are used to wipe the pans before washing them. I then compost the oily teabags This saves a large amount of detergent and water. Use only one layer of paper towel and used newspapers under it. Slices of stale bread are a good alternative. I keep crusts / the ends of loaves in the freezer and place 4 to 6 on a tray to cover the tray. You then just place your fried food on top to drain. The bread is fine to go in the compost afterwards. Use woven/organic undyed cloth piece, and then wash it along with other clothes. Keep this piece only for draining food. 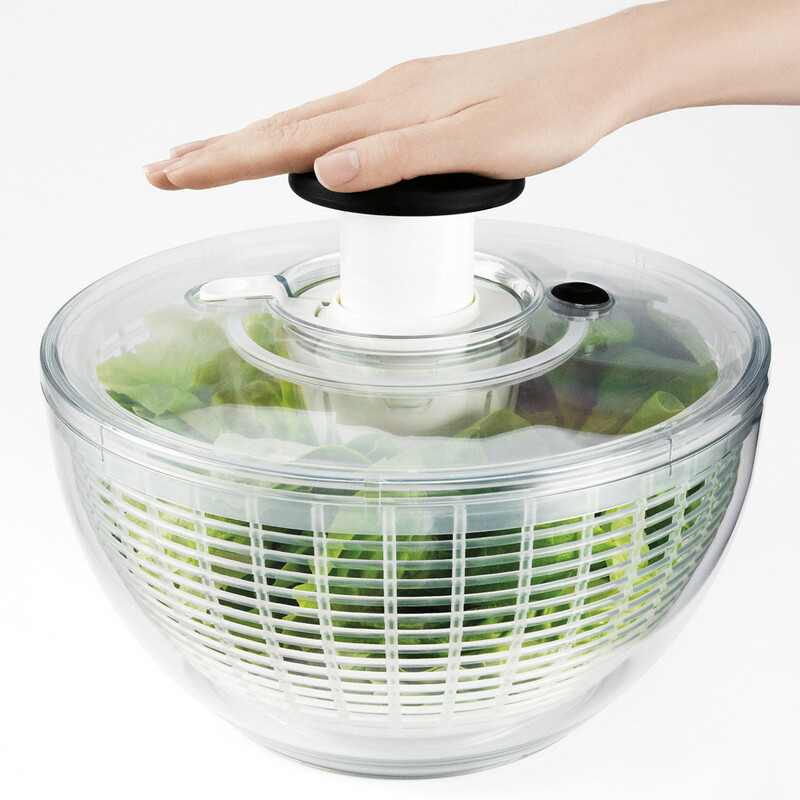 Actually the salad spinner is not a bad idea at all. It will require washing up after - detergent/water/time costs. Whereas the cloth /tea towel is pretty simple. On the rare occasion I fry anything that needs draining I just let it drain on a warm or even hot plate. The heat will keep the oil flowing and the food warm, cold will congeal oil and cool the food. I degrease pans etc. with old teabags or newspaper before washing. It really helps cut down detergent and washing time. We Brits always have teabags about. We prefer to use lightly woven undyed cloth. I have no clue at all if this would work or if it would damage the plastic possibly yes but if you could ever find a metal one of these a Salad spinner may do the trick. Not the answer you're looking for? Browse other questions tagged food paper alternatives or ask your own question.